Right-wing websites and networks are gleefully buzzing with theories about the state of Hillary Clinton’s health. The former First Lady, New York U.S. Senator and Secretary of State collapsed after briefly attending a memorial ceremony on the 15th anniversary of the 9/11 attacks. The unsubstantiated theories include stroke, brain damage, Multiple sclerosis and Parkinson’s disease. But there’s one theory Right-wingers scrupulously refuse to offer: That Clinton might be a victim of poisoning by Donald Trump’s well-known admirer, Vladimir Putin. It’s a theory that has been offered by no less than Bennet Ifeakandu Omalu, the Nigerian-American physician, forensic pathologist and neuropathologist who was the first to discover and publish findings of chronic traumatic encephalopathy (CTE) in American football players. His struggle to alert the National Football League to that danger met with hostility and derision. Finally, amid growing scrutiny from Congress, the NFL was forced to take the concussion issue more seriously. NFL owners banned players from striking opponents with the crowns of their helmets. Meanwhile, the NFL is facing concussion lawsuits from nearly 4,000 former players. At this point, there is no evidence that Hillary Clinton is the victim of KGB “wet” methods. And it would take lengthy, sophisticated toxicology tests to hopefully learn the truth. But there is plenty of evidence that Vladimir Putin has used murder–especially poison–to eliminate his opponents. 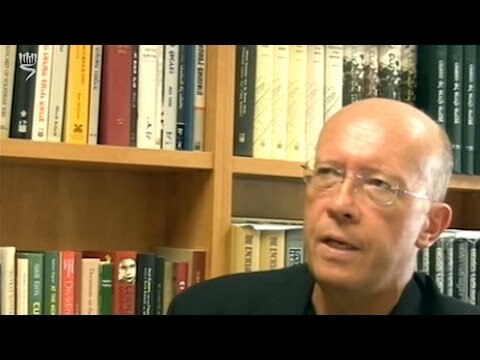 Putin came to power in 2000. Since then, at least 34 journalists have been murdered in Russia, according to the Moscow-based Glasnost Defense Foundation. Many of the suspected killers are military officials, government officials or political groups. Viktor Yushchenko: In 2004, he was running for president of the Ukraine against Putin’s chosen candidate, Victor Yanukovych. As the campaign neared its climax, Yushchenko suddenly fell ill–with dioxin poisoning. Flown to Vienna’s Rudolfinerhaus clinic for treatment, he survived, but his face was left greatly disfigured. He went on to win the election, serving as Ukraine’s president from 2005 to 2010. 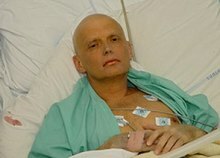 Aleksandr Litvinenko: A former KGB officer, he had accused Putin of wholesale corruption. Even worse, he charged that–as a pretext for a second war with Chechnya–Putin ordered the bombings of Moscow apartment buildings, resulting in the deaths of hundreds of people. Litvinenko died on November 23, 2006 in London from a dose of Polonium-210 in his tea. At the time, he was meeting with two Moscow agents, one of whom is now a member of the State Duma. Boris Nemtsov: An official with a liberal opposition group, he had been arrested several times for speaking against Putin’s government. Nemtsov had been scheduled to lead an opposition rally in Moscow. But on February 27, 2015, two days before the event, he was shot dead as he walked home from dinner. The killing happened a short distance from the Kremlin. If Hillary Clinton proved to have a serious medical condition such as Parkinson’s or Multiple sclerosis, the results would be tragic but strictly national. Mounting pressure within and outside the Democratic party would force her to drop out of the race. There would be a brief, furious struggle within the Democratic party for the nomination–most likely between Vermont U.S. Senator Bernie Sanders and Tim Kaine, Clinton’s choice for Vice President. The winner would face Donald Trump in the coming debates and fall election. And the Clintons–a force in American politics since 1992–would finally leave the national stage. But if Hillary is a victim of a KGB assassination attempt, as Dr. Bennet Omalu suspects, then the consequences would be national and international. Nationally, such a discovery would almost certainly generate huge sympathy for Clinton–a woman singularly unable to arouse sympathy among voters. That alone could ensure her election as President. 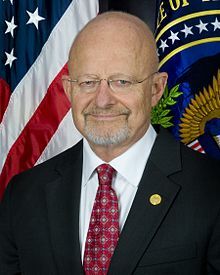 And even Americans who hate Clinton would never forgive Russia for daring to interfere with an American Presidential election. They would demand severe retaliation–even all-out war. For Trump, it would prove a nightmare. He’s made too many admiring statements about Putin to disavow them now and be believed. National outrage followed in July when Trump invited Putin to “find the 30,000 emails that are missing” on the private server that Clinton used as Secretary of State. If Clinton died–or was simply injured–because of a KGB plot, few would believe Trump wasn’t a party to it. And several of Trump’s closest associates have had ties to Putin, such as his former campaign manager Paul Manafort. Even many Republicans have already declared they can’t support Trump in abandoning NATO–much less his clear admiration for Putin, a dictator who got his start as a KGB agent. A KGB plot against Hillary Clinton would convince many Americans that Republican leaders have become as corrupt as those in the Kremlin. September 11 marked the 15th anniversary of the worst terrorist attack in American history. The date when, in 2001, two highjacked, fuel-laden jetliners slammed into the “twin towers” of the World Trade Center in New York City and a third crashed into the Pentagon in Washington, D.C.
A fourth, intended for the White House or Capitol Building, was prevented from doing so by the heroic resistance of its passengers. The highjackers crashed it into a field in Pennsylvania. For Hillary Clinton, former First Lady and Secretary of State, and now the Democratic party’s Presidential nominee, this was to be a day of memorial events. Instead, it turned out to be her worst nightmare as a Presidential candidate. Scheduled to attend a 9/11 ceremony in New York City, she cut short her appearance around 9:30 a.m. because she felt “overheated,” according to campaign spokesman Nick Merrill. Amateur video captured Clinton struggling to stand and needing help to enter her Secret Service van. A woman held Clinton’s left arm as the van approached. Then two men grabbed both of her arms as her knees buckled. Shortly before noon, Clinton left the apartment of her daughter, Chelsea. Wearing sunglasses, she waved to diners at a nearby restaurant. “I’m feeling great, it’s a beautiful day in New York,” she said. Then she headed to her home in Chappaqua. Several hours later, her doctor announced that Clinton was suffering from pneumonia. Throughout the campaign, Republican Presidential nominee Donald Trump has attacked her mental and physical and fitness to be President. The 9/11 incident has hugely amplified those questions–and concerns. She not only abruptly left the ceremony, but nobody in her campaign told reporters traveling with her about her condition or whereabouts for 90 minutes after she left the ceremony. In 2015, Clinton, then 67, released a two-page letter from her doctor stating that she was in good health despite a blood clot and a 2012 concussion. The Right has salivated over the prospect of its longtime rival being yanked off the political stage, as it were, by a shepherd’s crook of deteriorating health. The National Enquirer: “Failing health and a deadly thirst for power are driving Hillary Clinton to an early grave.” The article–dated September 30, 2015–claimed she would be dead in six months. Hannity: Fox News Medical Correspondent Dr. Marc Siegel said that a video showing Clinton laughing with reporters suggested that she might be having a “mini-seizure.” Siegel added that Clinton might still suffer from “post-concussion syndrome”–after a 2012 concussion–which could affect balance, impair memory and cause dizziness. Yet there is one conspiracy theory that is conspicuously absent from Right-wing websites and networks. And this is because it points to a connection that Republicans–and especially Donald Trump–want to ignore. The ties between Trump and Russian dictator Vladimir Putin. Putin’s admiration for Trump is no secret. Nor is Trump’s admiration for Putin. When Trump praised Putin as a leader–“unlike what we have in this country”–he meant President Barack Obama. But Putin may have serious reasons for flattering Trump. Trump believes the United States is paying too much of the money needed to maintain the North Atlantic Treaty Organization (NATO) alliance. He wants other members to contribute far more. He has said that, unless they do, under a Trump Presidency, they would be on their own if attacked by Russia. The withdrawal of the United States from NATO would instantly render that alliance kaput. For Putin, this clearly signals a reason to prefer Trump to Clinton. Everybody, it seems, hates genocide. But not everybody owns up to it. FBI Director James Comey found this out firsthand. Comey wants them to see the horrors that result when those who are entrusted with using the law to protect instead turn it into an instrument of evil. “Good people helped murder millions,” he wrote. “And that’s the most frightening lesson of all–that our very humanity made us capable of, even susceptible to, surrendering our individual moral authority to the group, where it can be hijacked by evil. “Of being so cowed by those in power. Of convincing ourselves of nearly anything. 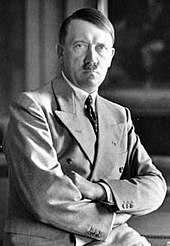 “In their minds, the murderers and accomplices of Germany, and Poland, and Hungary, and so many, many other places didn’t do something evil. It was these paragraphs that landed Comey in diplomatic hot water. The reason: The FBI director had dared to say that Poles were accomplices in the Holocaust! 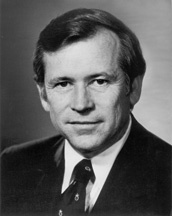 Shortly after Poland’s announcement, Stephen Mull, the U.S. Ambassador in Warsaw, told reporters he would contact the FBI about the situation. “Suggestions that Poland, or any other country apart from the Nazi Germany was responsible for the Holocaust are wrong, harmful and offensive,” he said, speaking in Polish. And he emphasized that Comey’s remarks didn’t reflect the views of the Obama administration. In fact, Comey’s remarks were dead-on accurate. And Mull’s were a craven act of Political Correctness. But at least one Polish citizen was not offended by Comey’s editorial. Jan Grabowski, 50, is a graduate of Warsaw University and is currently a history professor at University of Ottawa. He is also the son of a Holocaust survivor. He has suffered death threats, is boycotted in the Canadian Polish community where he lives today, and is not always welcome even in his homeland. But he will not be intimidated from speaking and writing the truth about those in Poland who enthusiastically collaborated with Nazis to slaughter Jews during World War II. Over the years, he has published several books on this subject. And his latest one is certain to outrage many of his countrymen. His new book, Hunt for the Jews: Betrayal and Murder in German-Occupied Poland, was published in October, 2014. 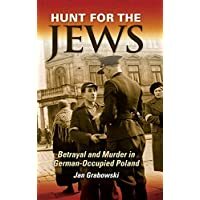 “I tried to understand how only very few of those Jews who decided to hide were able to stay alive until 1945,” said Grabowski in an interview with The Times of Israel. It took Grabowski more than three years to research and write his book. He interviewed Holocaust survivors and local residents, primarily in Poland, Israel and Germany. “It is more complicated than just blaming the Poles for betraying their Jewish neighbors,” said Grabowski. “On the one hand there were extraordinarily brave Poles who risked their lives to save Jews, and on the other hand there was no great love between Poles and Jews before World War II. “During the war these relationships became even more hostile. A large segment of the Polish population was displeased with their neighbors’ help to the Jews during the war, and for many it seemed even as an unpatriotic step. Many Poles still refuse to acknowledge the the collaboration of so many of their countrymen with the perpetrators of the Holocaust. It’s a role often played by nations that don’t want to acknowledge their past criminality. During the Nuremberg war crimes trials, Russian judges representing the Soviet Union successfully lobbied to conceal a vital historical truth. In late August, 1939, Soviet dictator Joseph Stalin had negotiated a “non-aggression pact” with Adolf Hitler. That was known. But a secret protocol of that agreement dictated that Germany could conquer only the western half of Poland. The eastern half of that country would be occupied by the Red Army. As long as politicians’ fragile egos are at stake, genocide will continue to be a matter of state policy–and a disowned one.